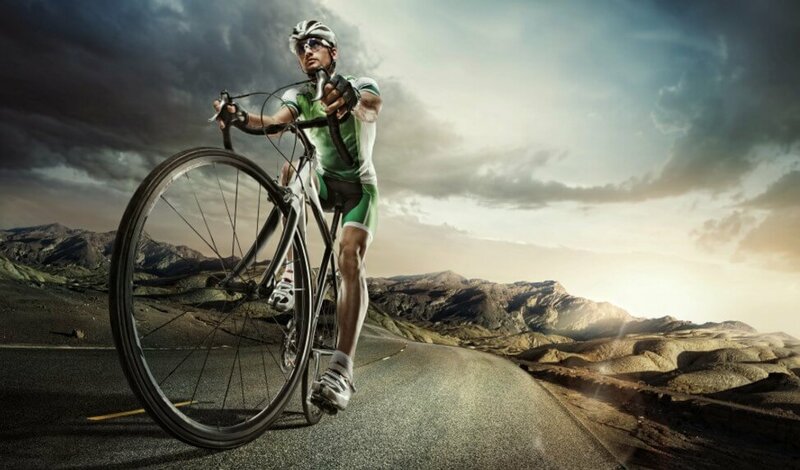 Road cycling competition became popular at the end of the XIX century and ever since there is a growing interest in road cycling. Today, these races are big time events which attract around tens of million spectators and are broadcasted to TV viewers all over the world. One of the first races or the first one which was officially recorded was at ‘Parc de Saint-Cloud,’ in Paris back in May 1868. The winner of this race was the British rider, James Moore. The first “city to city” was from Paris to Rouen in November 1869. Once again, James Moore was the winner. He rode 123 kilometers in 10 hours and 25 minutes. The purpose of this competition was to promote cycling and demonstrate the abilities of a bicycle. Since 1896, road cycling has been part of the Olympic Games program. Just like today, this sport was popular in the Western European countries of France, Spain, Belgium, and Italy, which is proved by some of Europe’s earliest road bicycle races. These first races are among the most popular cycling events even today such are Liège–Bastogne–Liège (from 1892), Paris–Roubaix (1896), as well as the Tour de France (1903), the Milan–San Remo and Giro di Lombardia (both from 1905), the Giro d’Italia (1909) and the Tour of Flanders (1913). These historical events are still the most prestigious competition that a cyclist can win. There are three types of events in cycling such as road race, individual time trial and team time trial. Road race and individual time trial are both parts of the Olympic program. One-day races from a particular point to another, for example, Paris-Roubaix or Tour of Flanders, or on a circuit like in the case of the UCI World Championships, or it can be stage races format, which can be seen in most popular events Tour de France, Giro d’Italia or Vuelta a España. The individual time trial includes racing over 40 or 50 km, which can be seen at the UCI World Championships and Olympic Games. Each rider set off individually at regular intervals usually a minute or two after the cyclist before them and the one who completes the course with the fastest time is the winner. Finally, there is team time trial, which has the same principle as the individual time trial. However, this event is raced by teams with at least two riders. The maximum number of cyclists in one team is ten. This type of event can be seen on the program at the UCI Road World Championships from 2012. In this case, there are 5 to 6 riders per team. All the UCI Teams have the chance to participate in this type of event including UCI ProTeams, UCI Women’s Teams, UCI Professional Continental Teams, and UCI Continental Teams.